Who we are and what we do. Dead Slow. 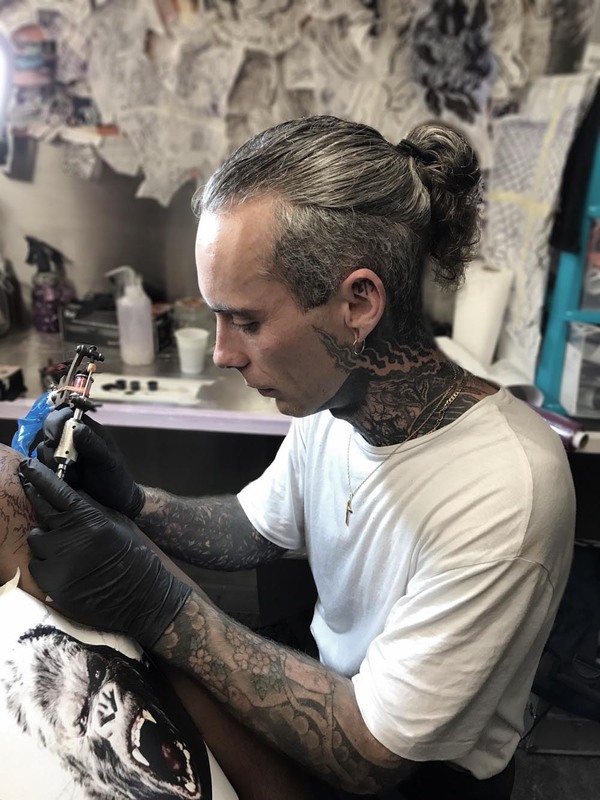 Brighton Tattoo Studio. 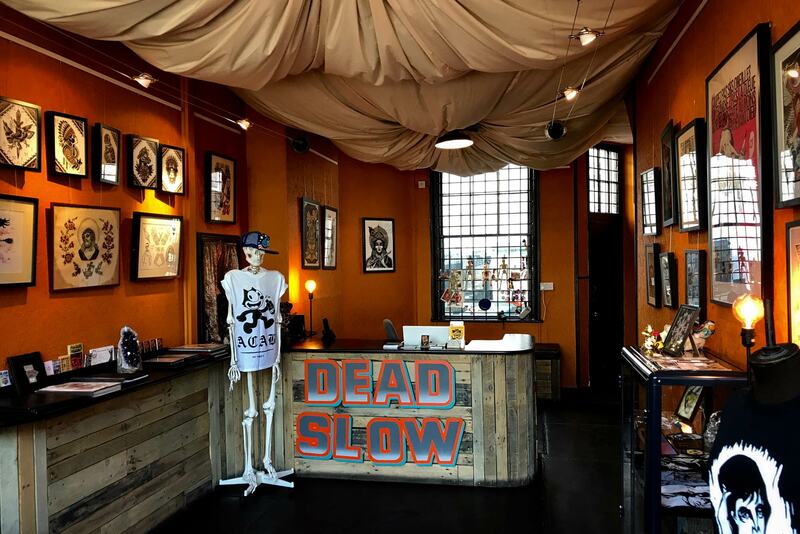 Dead Slow is a Brighton tattoo and piercing studio, owned by resident artists Jack Applegate and Kirsty Simpson since November 2014. Jack and Kirsty acquired Dead Slow after both tattooing out of the studio for a number of years, back when it was called Nine. Since taking over they have made numerous changes including complete redecoration, new resident artists and now, a new name. We have international guest artists visit throughout the year, many of them returning for regular spots. Upcoming guests can be found on our homepage and they can be contacted directly for booking enquiries. 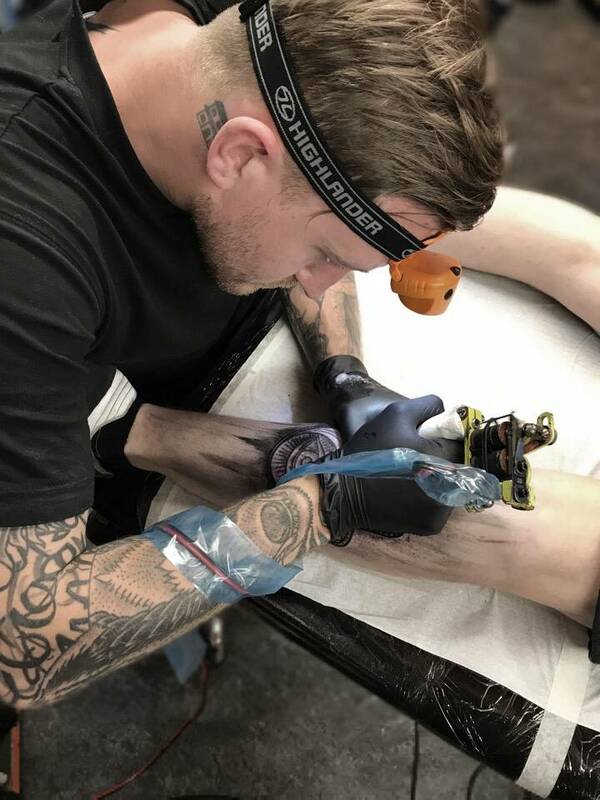 If you’d like to get tattooed by one of our resident artists just drop us an email with your ideas. It’s a huge help to let us know where you’d like the tattoo and how big in cm you’d like it. Feel free to send a couple of images as reference, so the artists have an idea of what you’re thinking. Occasionally we may need to book you in for a one on one consultation with an artist. All appointments require a non refundable deposit. 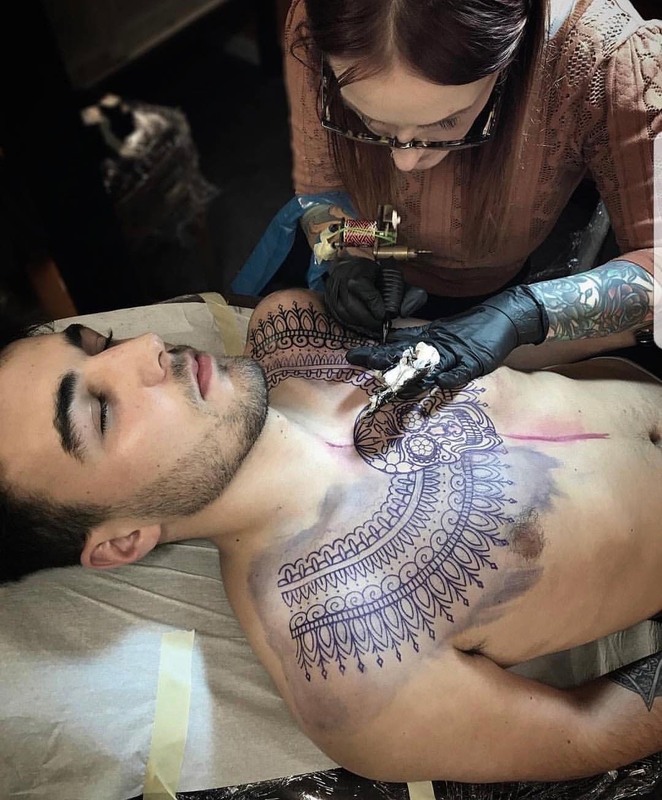 This is paid at the time of booking and comes off the cost of your tattoo. 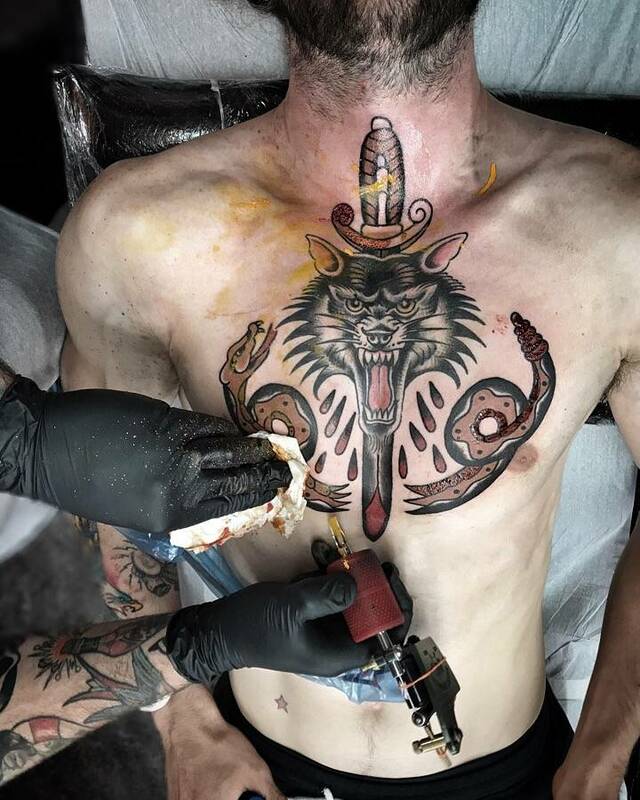 If your tattoo requires multiple sessions, the deposit comes off the final session. We welcome walk-ins at Dead Slow. 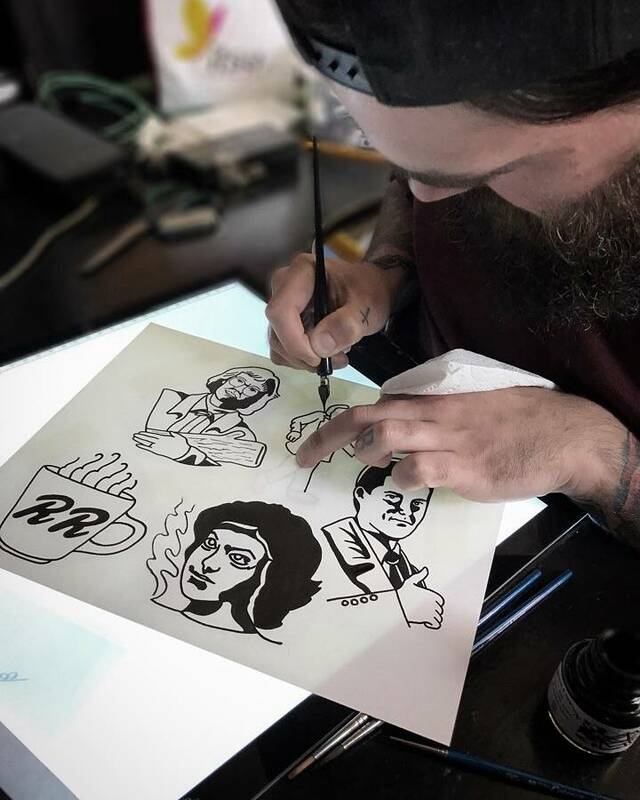 Pop in and check out our pre-drawn designs and flash, or bring your own ideas. We will always try our best to fit customers in for a walk-in. Body piercing is also offered on a walk in or appointment basis. Please note: Children and pets are not permitted in the studio. 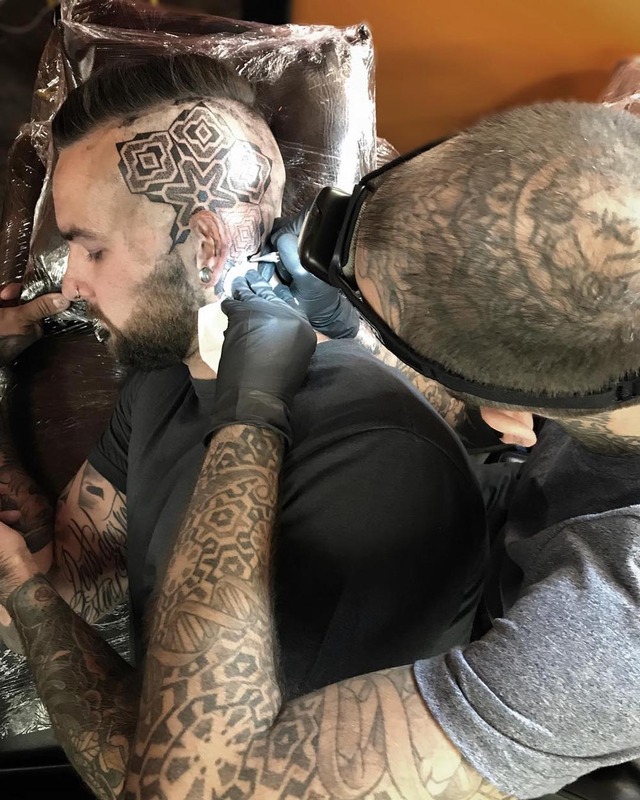 If you are getting tattooed, a friend can wait in reception, but will not be allowed to sit in with you in the tattooing area.